Why did the pilot divert from his usual flight plan, why did he fly above restricted airspace, and just what, if any instructions, did Kiev air control give the pilot in the minutes before the tragic explosion?" ‘There was an unexplained change of course of the Malaysian MH17 flight which took the aircraft directly over the Eastern Ukraine warzone. 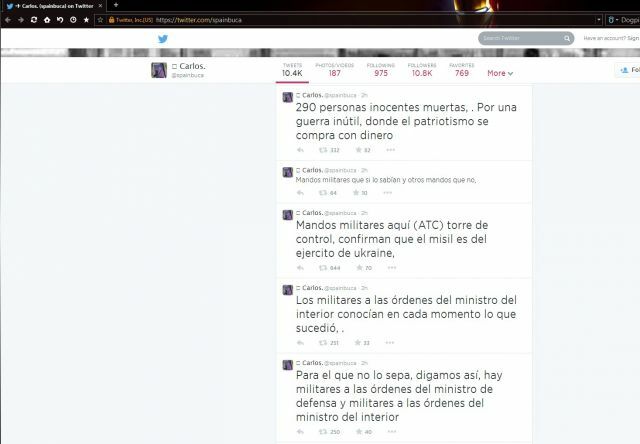 The Spanish air controller confirms a conflict between the Ministry of Defense and the Ministry of the Interior intimating that the order concerning the downing of the aircraft came from the Ministry of the Interior, which is dominated by Svoboda and Right Sector. “eyewitnesses in the Donetsk region saw Ukrainian warplanes near the passenger jet. They say they heard sounds of powerful blasts and saw a Ukraine warplane shortly before the crash. 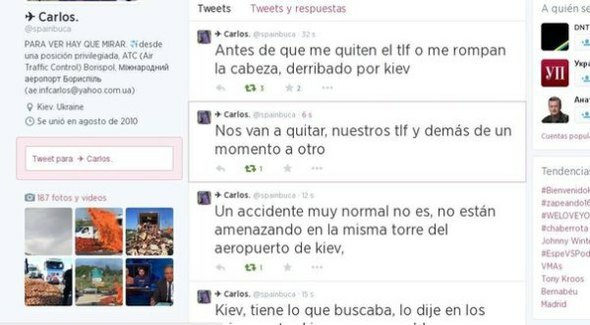 He left about 10 messages, stating that two Ukrainian jet fighters followed the plane until it hit the ground. Also he clearly indicated, the first report came from Ukrainian military, right after communication failure, which he found very strange. 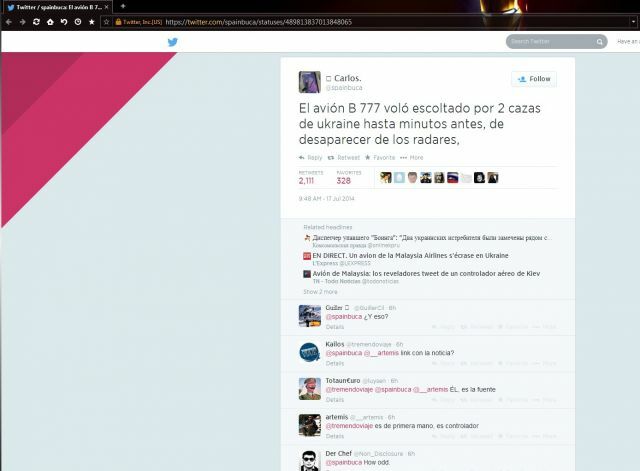 Plane was DIVERTED deliberately, into Ukrainian Airspace. 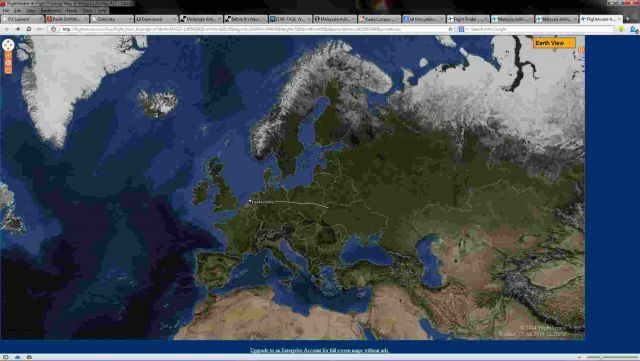 Above todays flight pattern, below – regular flight path. UPDATE: according to Malaysia Airlines documents MH-17 was ordered by Kiev control to fly much LOWER altitude.